The campaign period is the most important time for politikos hoping to get another term, but. Taytay Councilor Pia Cabral made sure she still has time for the most important things. 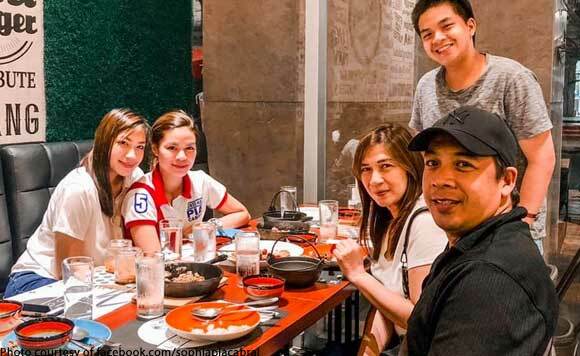 In a Facebook post, Cabral shared a photo of her bonding with her family past midnight after a day stumping for votes. The family got together to celebrate the return of the konsehala’s sister Steph. In her post, Cabral said her family comes first even if her campaign schedule is packed. It is the one thing she makes sure she has time for, she added. Kampanya is life, but family is love! “Time check: 12:01 am. Family first! Kahit na gano ka busy sa campaign schedules, hindi pwede walang oras sa pamilya. ❤️Welcome back Steph Cabral!,” Cabral posted.